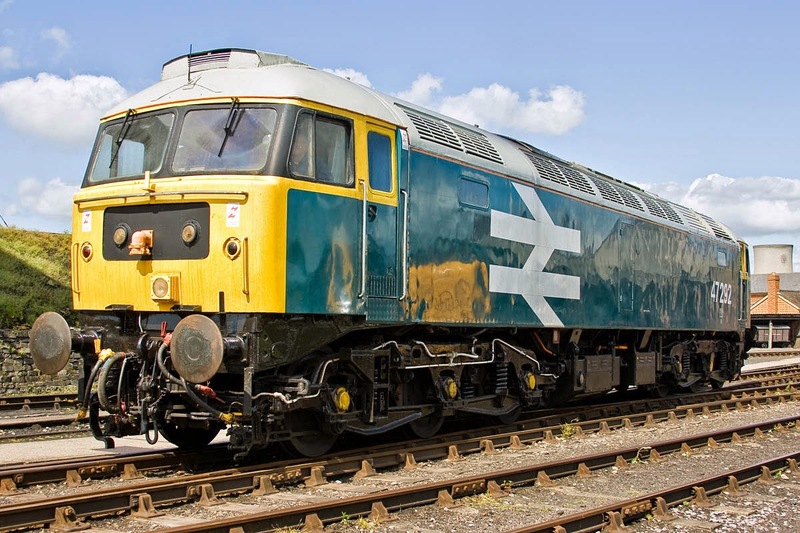 47292 was delivered as D1994 from BR Crewe on 16th April 1966 to 50A York, and worked its way around a number of ER sheds. 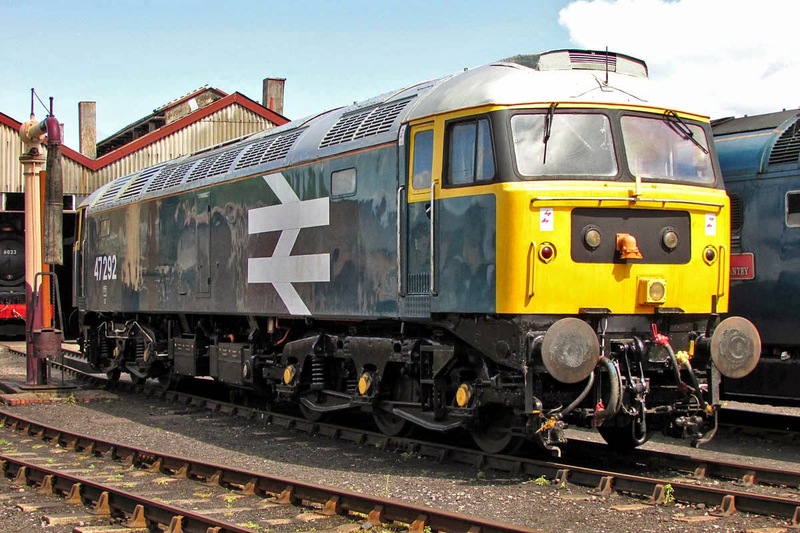 Renumbered to 47292 in December1973. 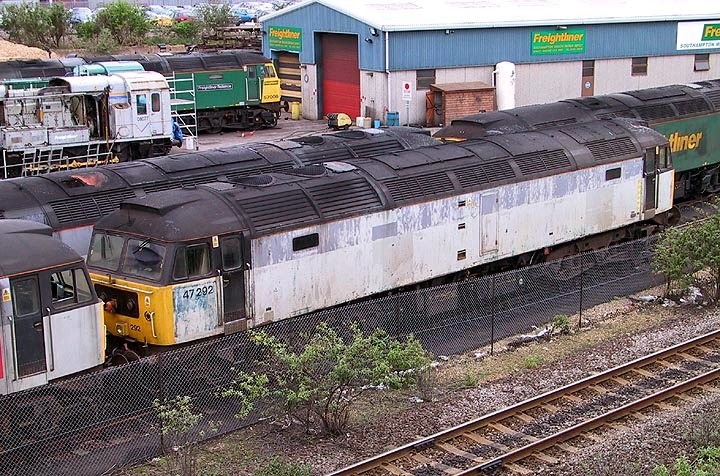 At Tinsley from May 1987, it was in the Railfreight Distribution pools until June1996 when it was transferred to Freightliner duties, on which it worked until January 2004, when it was placed into a holding pool. 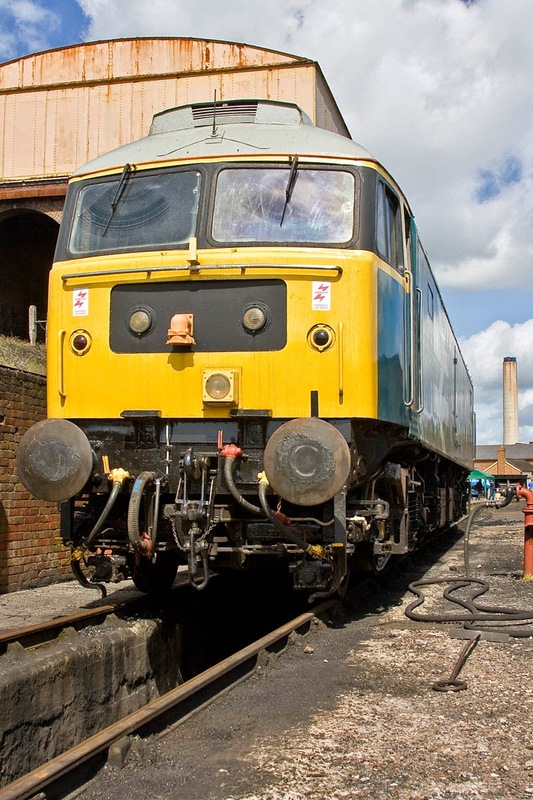 Sold into preservation at the GCR(N) from June 2007, where this video shows its first start. In practice 47292 did not wear the large logo livery in BR days. The data plate shows an allocation to Knottingley. 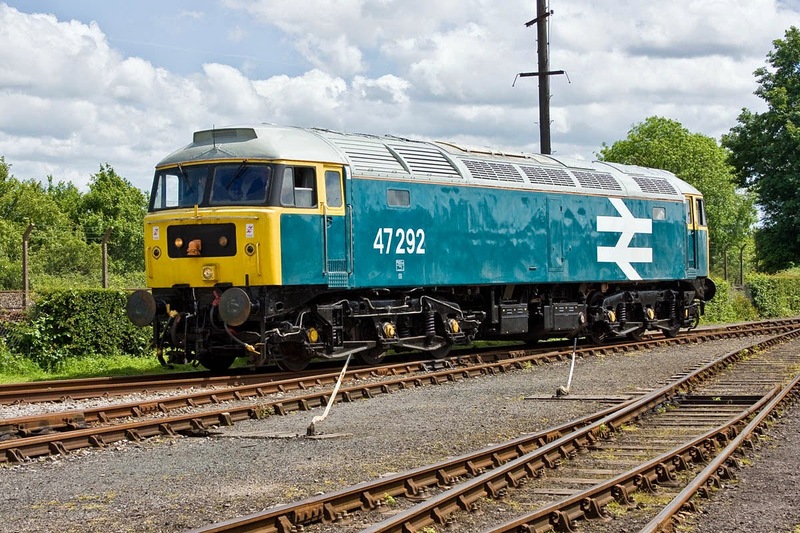 47292 has something of an Eastern Region atmosphere with Deltic alongside. 47292 about to enter the running line. A glance back, with the locomotive at Southampton Maritime on 27th April 2002, at which time 08077 was under overhaul in the background. 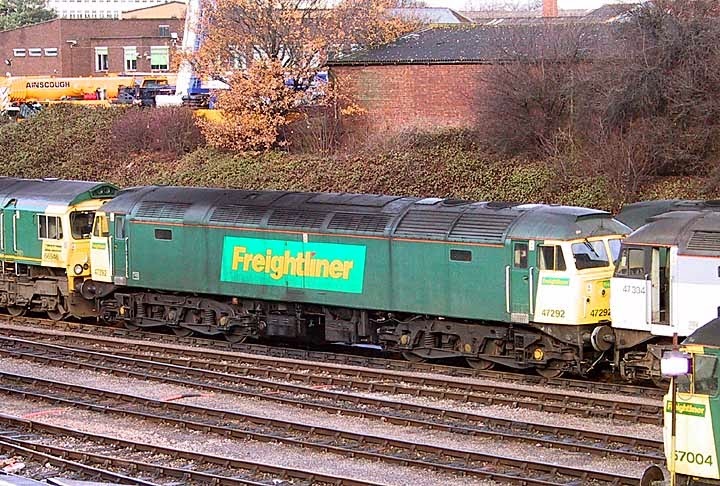 By 30th November 2003, Freightliner had seen fit to repaint over the shabby Railfreight Grey. At this time the locomotive only had about another month to run.